NIA CHARLESTOWN NEVIS (APRIL 26, 2016) — A team from the International Monetary Fund (IMF) met with Premier of Nevis and Minister of Finance Hon. Vance Amory to assess the fiscal performance of the Nevis Island Administration (NIA). The meeting was held at the Ministry of Finance Conference room on April 25, 2016. 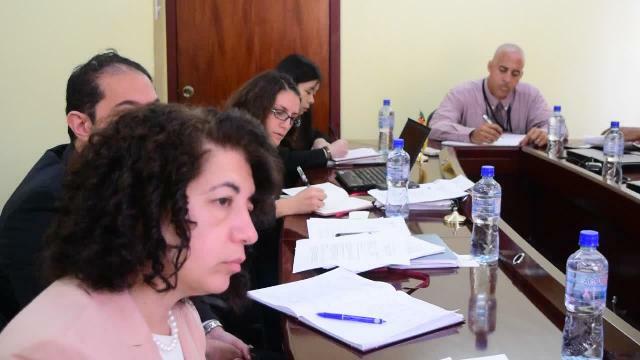 According to Permanent Secretary in the Ministry of Finance Colin Dore, who was present at the meeting, it forms part of the IMF’s annual visit to St. Kitts and Nevis as part of the Article 4 consultation. He noted that the IMF team headed by Mission Chief Ms. Inci Otker Robe who took over from Ms. Judith Gold former mission Chief, sought to determine how the Administration is coping after completion of a three-year Structural Adjustment programme by the IMF and Mr. Amory outlined the proposals as stated in the 2016 Budget Address. According to Dore, during the team’s one-day visit to Nevis, they also met with Heidi Sutton Regulator of the Nevis Financial (Regulation and Supervision) Services to assess the legislation governing the financial services. 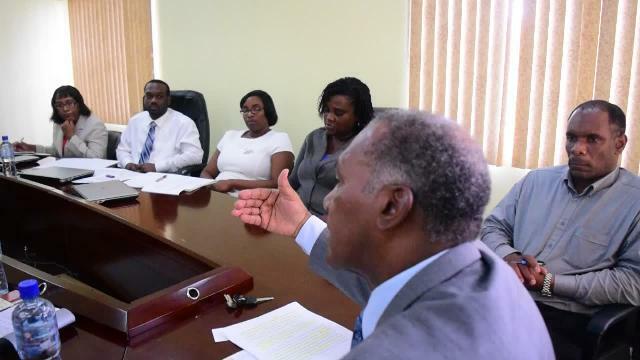 They also met with the Bank of Nevis Ltd. to assess the island’s banking sector. Dore said the team will be carrying out similar exercises in St. Kitts and is scheduled to present its findings at a joint cabinet meeting of the Federal government and the NIA on May 04, 2016.